OPENING NIGHT: The Talent Factory will hold its First Annual Holiday Showcase at 6 p.m. at the Lebanon High School Auditorium. Rehearsing for the lyrical hip-hop portion are (from left) Ali Hieston, Noah Shuptrine, Maisa Kent-Doolan, Mackenzie Schick and Samantha Cummings. 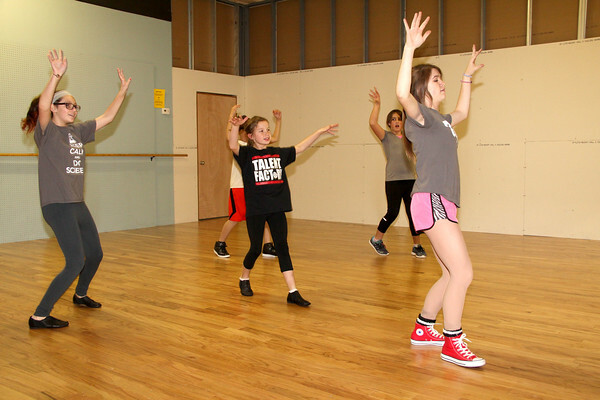 The recital will feature tap, jazz, ballet, lyrical hip-hop, lyrical, musical theater, and baby class dancing. The show will last approximately two hours and ticket cost is $5. Tickets may be purchased online at http://www.tututix.com/TalentFactoryArts or at the studio. Located at 126 W. Washington St., the Talent Factory is open Monday through Thursday from 4:30 to 7:30 p.m.